Tuesday, October 23, 2018, 6 p.m. The presentation focuses on the contacts between the Viennese Avant-Garde circles and artists and the emigrant Hungarian group of “Activists”, led by Lajos Kassák, during the first half of the 1920s. After the collapse of the Hungarian Soviet Republic in Budapest, Kassák and his fellow artists fled to Vienna where they continued to publish the art magazine “Ma” (Today) and organized several exhibitions and performances between 1920 and 1925. Through Kassák’s intensive networking, his magazine “Ma” became an internationally renowned forum for Dada and Constructivism, however, it was less acknowledged by the local art scene. The presentation traces the ambivalent relationship between the Hungarian and Viennese Avant-Garde artists – including Friedrich Kiesler, Jacob Levy Moreno, and Adolf Loos – and aims to contextualize Kassák’s presence in Vienna through new research results. The presentation is connected to the research project of the Petőfi Literary Museum–Kassák Museum entitled “Lajos Kassák’s Avant-Garde Journals from an Interdisciplinary Perspective (1915–1928)”, supported by the National Research, Development and Innovation Office, Project No. K-120779. Tuesday, November 27, 2018, 6 p.m.
“I declare, in public, Mr. Friedrich Kiesler is a plagiarist and a scoundrel!” With these words, Jakob Levy Moreno (1889–1974), social-psychologist and founder of the psychodrama, interrupted the opening ceremony of the International Exhibition of New Theater Techniques. The show was curated and designed by Friedrich (later Frederick) Kiesler (1890–1965). 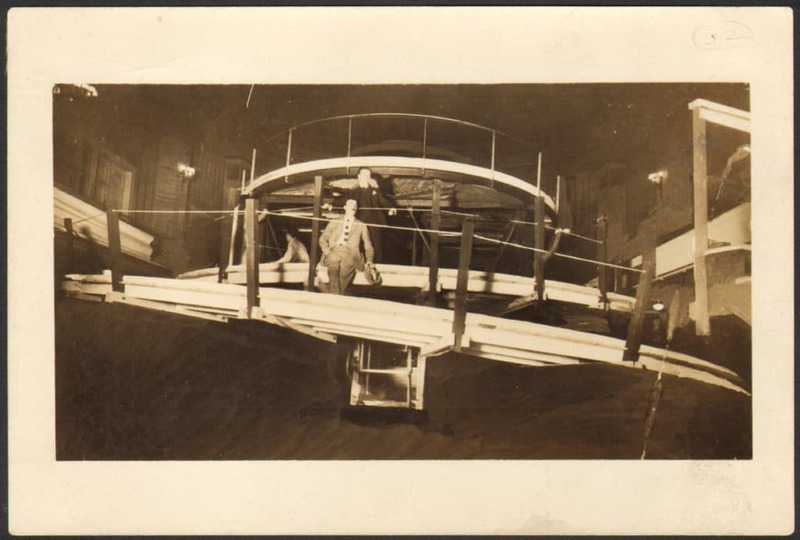 His full-scale model for a theater-in-the-round, the Space Stage, served as a centerpiece. The plagiarism controversy revolved around this model, as Levy Moreno claimed this idea belonged to his Stegreiftheater (Theater of Spontaneity). Kiesler filed a lawsuit for libel and slander, noting that “only amateurish ignorance for the theater” could lead to these “absurd accusations of plagiarism […],” As the competing concepts had “as much in common as a crocodile with a radio.” The dispute was carried out not only in court but also in the daily press, sometimes with due respect, sometimes in a humoristic and rather belittling manner as caricatures. Theater historians Barbara Lesák and Brigitte Marschall together with Gerd Zillner, curator of the exhibition, will retrace the wide range of this dispute with a reading of the most important press articles and explaining the concepts of both, Levy Moreno’s Stegreiftheater as well as Kiesler’s Space Stage. Tuesday, April 10, 2018, 6 p.m.
Tuesday, April 24, 2018, 6 p.m.
Thursday, May 24, 2018, 6 p.m.